Horrifying footage shows the Australian biker come out of his first turn at Le Mans as he gains on two rival racers. 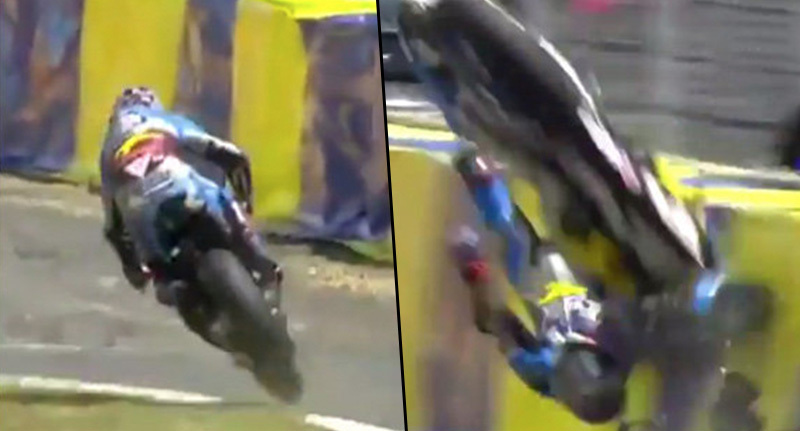 As he is coming up past his rivals, Miller loses control of the bike and it shoots forward across the grass before slamming into the barricade. 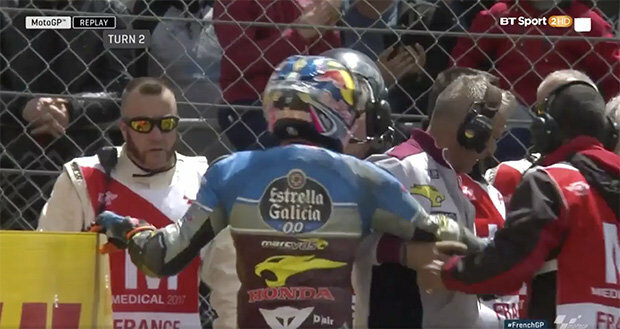 Miller is tossed into the air and spins on his bike several times before landing on the ground inches away from his smashed bike. I don’t even want to talk about it. Look at that. How lucky is Jack Miller? Thankfully, Miller survived the crash and his fans are sending their good wishes to the young speed demon. We hope he makes a swift recovery and gets back in the race.